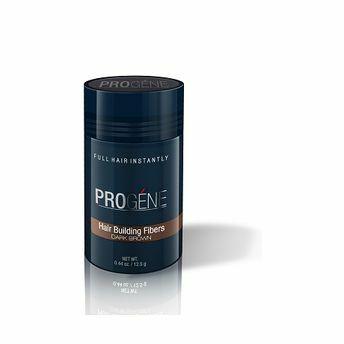 Progene is made of all natural, coloured keratin protein. Progéne fibers blend undetectably with your existing hair, instantly making it full and thick. It is an excellent hair regrowth formula for the people who are facing severe hair fall or who have started witnessing the signs of hair thinning on the head. It provides a natural organic way to treat hair fall. The product works through linking the hair-fibers with your own hair and provide faster results than ever before. It controls hair fall and speed up the hair growth. Being natural and organic in nature, the progene hair fiber is safe from all the types of chemicals that have various harmful side effects that can be seen in any part of your body. It is a wonderful hair loss treatment for all the different types of hair. Be it curly, dry, oily or any. Both men and women can use it for any types of hair. This Product helps in controlling hair fall and thinning problems and even regrows hair on balding space on the head.